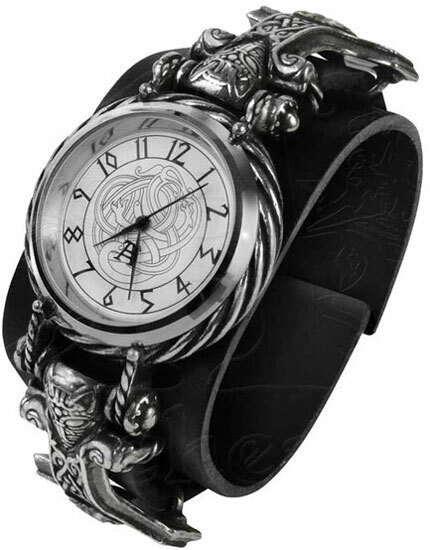 This Vicking watch features a wolf head a top of Thor's hammer and head of the Thunder God on each side of the time face. 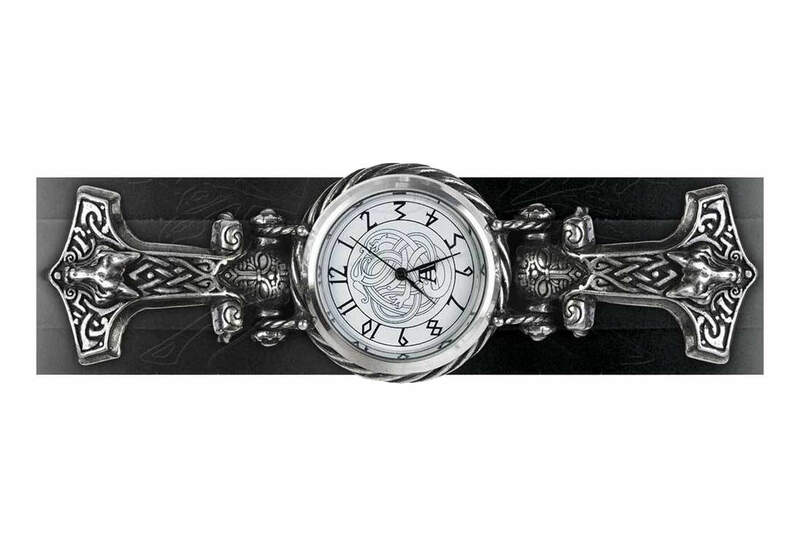 On the time face is printed a Nordic knot work with a torque-twist frame. It uses a 5mm dia. 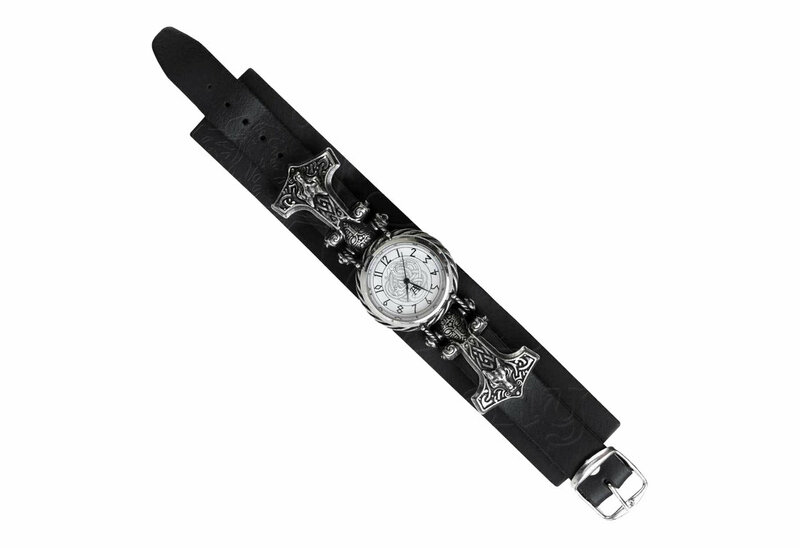 quartz crystal movement and it's made of fine English pewter with a black Italian leather strap. 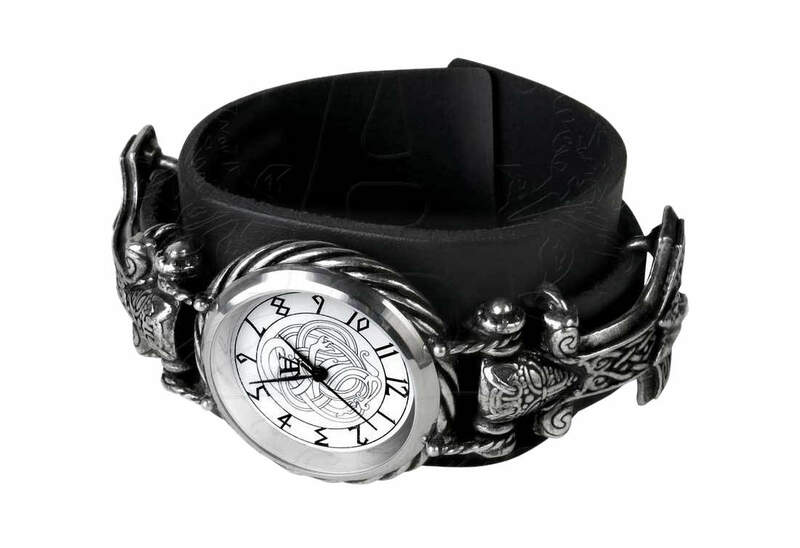 It measures approximately 1.5 inches wide, 3.3 inches high and 3.5 inches deep. 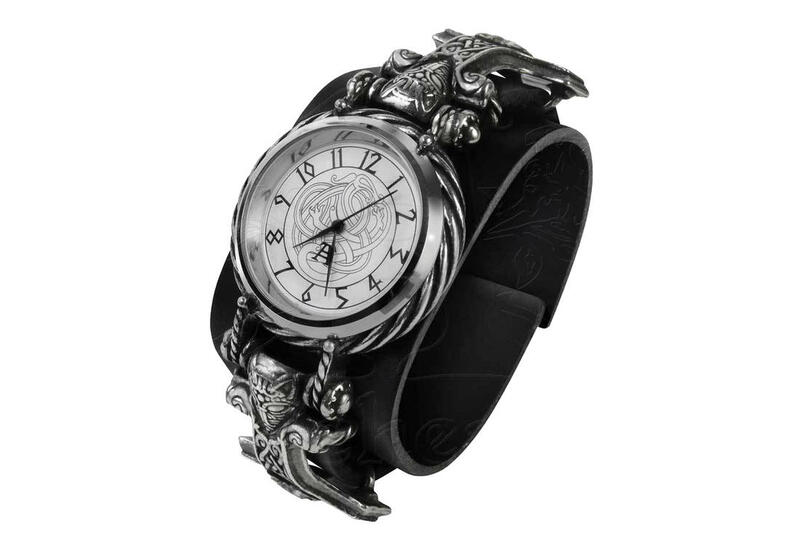 By Gothic Alchemy.